Chill out with trendy hot, limited production wines along the beach this Saturday, July 15, 2017, as California’s wine garagistes are getting some “Urban Exposure”! The Garagiste Wine Festival, with over 50 maverick winemakers offering tastes of 200 plus wines, will be at the historic Santa Monica Bay Woman’s Club, in downtown Santa Monica, from 3-6pm, showcasing many exciting artisan wines. It’s an afternoon crash course in defining “garagiste” here in California. Originally, the term was used in the Bordeaux region of France to belittle small production winemakers who rejected the established rules of the region, and often worked out of their garage. Here in California, these wine pioneers also think outside the box, producing small lots of premium wines, mostly under 1,500 cases and often much less. These rebel winemakers experiment with the unexpected, but always follow their passion. Many don’t have a tasting room, so this festival provides the perfect opportunity to taste a rising star and discover your next “house” wine. 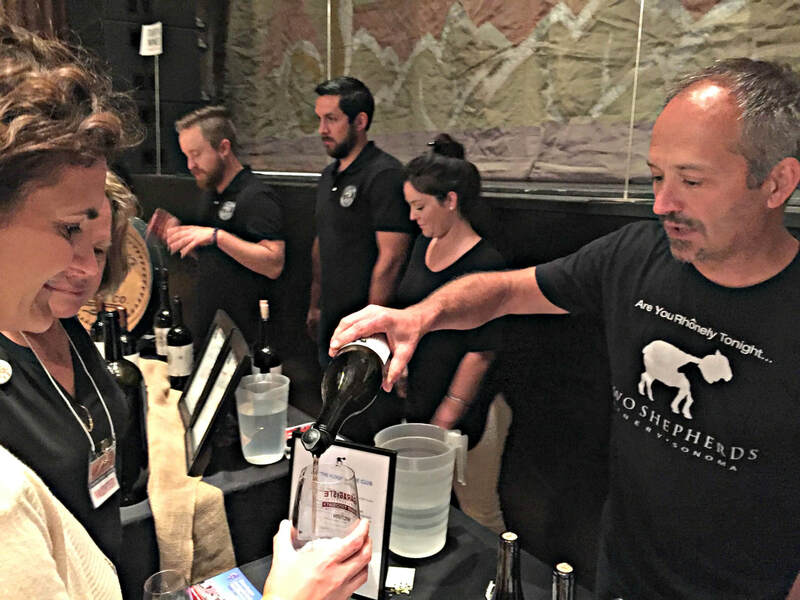 Billed as “The Garagiste Wine Festival: Urban Exposure”, this fourth annual free-spirited tasting celebrates the artisan winemaker, and their surprisingly different wines. VIP Early Access is from 2-6pm, offering a one hour head start to taste, meet the winemakers, and experience exclusive sips of “Rare and Reserve” wine only poured for VIP guests. Unlimited wine tasting, with bread, cheese, and charcuterie, in addition to artisan food samples, are included in the $99 admission. The Grand Tasting, from 3-6pm, offers everything that the VIP tasting does, including a souvenir Stolzle crystal wine glass, for $69, but excludes the Rare and Reserved tasting. Tickets for both tiers are available online. Organizers are encouraging attendees to take the Metro, or use Uber or Lyft. Otherwise, there are various parking garages and limited metered parking in the area. This non-profit Garagiste Festival donates its proceeds to the Cal Poly Wine & Viticulture Program, based in San Luis Obispo. Looking to the future, this charity event supports the education of budding winemakers and others training for wine industry jobs. Garagiste Festival co-founders Stewart McLennan and Doug Minnick are passionate about connecting these cutting edge winemakers with wine lovers who seek out the novelty of the unknown, the fringe element before it becomes chic. Thought you knew what California wine is all about? Embrace “garagiste” and discover a whole new dimension, free spirited winemakers with boundless passion and limited funds, who strive to put their own spin on California wine, breaking the rules, all in one place, “The Garagiste Wine Festival: Urban Exposure” at the Santa Monica Bay Woman’s Club this Saturday, don’t miss it!